Realm of Horror - News and Blog: Netflix's DARK debuts official trailer and poster art. Netflix's DARK debuts official trailer and poster art. 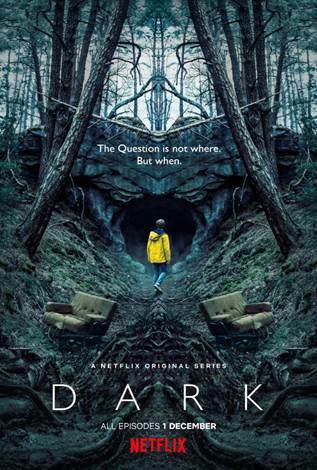 Netflix's first German original series "DARK" debuts official trailer and poster artwork. "DARK" is set in a German town in present day where the disappearance of two young children exposes the double lives and fractured relationships among four families. In ten, hour-long episodes, the story takes on a supernatural twist that ties back to the same town in 1986. 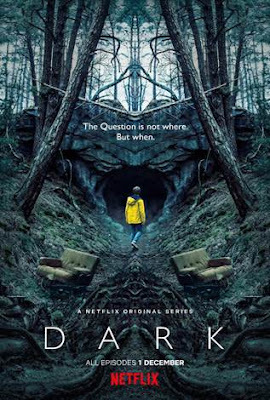 Written by Jantje Friese and directed Baran bo Odar (Who Am I - No System is Safe), "DARK" is a chilling mystery-drama-series: an intricate puzzle full of twists. Slick camerawork and realistic performances enhance a textured web of curious characters, all of whom have a connection to the town's troubled history, whether they know it or not.